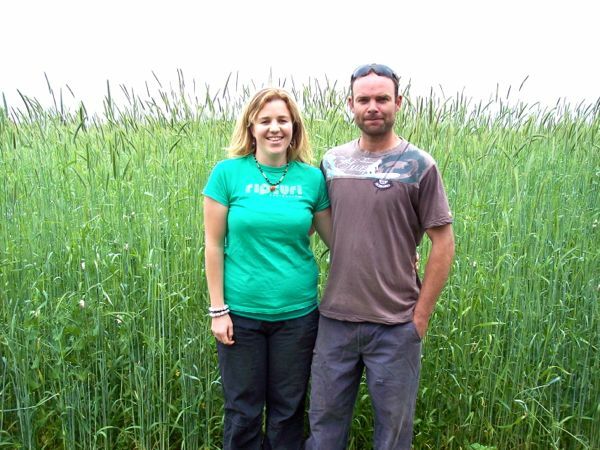 Adrian Wojtowicz and Kirsten Alford (pictured with green manure crop) have been in conversion to Biodynamics on their 50 acre (20Ha) property at Wurdi Buloc, Victoria, for 2 years now. Adrian grew up on the property and they bought it from his grandfather 5 years ago. Adrian had been market gardening conventionally on nearby leased properties for the previous 14 years. 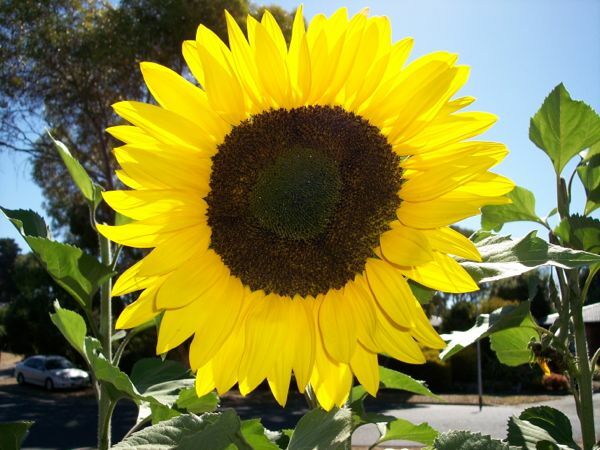 However both he and Kirsten (a qualified Naturopath) had been leaning towards organics for some time, as neither were happy spraying chemicals (they have two young children), and had been applying poultry manure as their main fertiliser. Two years ago they visited a sustainability expo in Bendigo, and there met a Biodynamic farming couple who had a stall. After talking to them for a few hours they decided to bypass ordinary organics and go straight to Biodynamics. “Native pastures were replaced with more productive English clovers and grasses which, initially, grew prolifically, but from approximately 1910 onwards, slowly began to wane. No fertilisers whatsoever had been applied. By 1920 few of the imported species remained. On application of superphosphate especially the clovers returned in great abundance to the relief of farmers, even if associated with such problems as bloat. 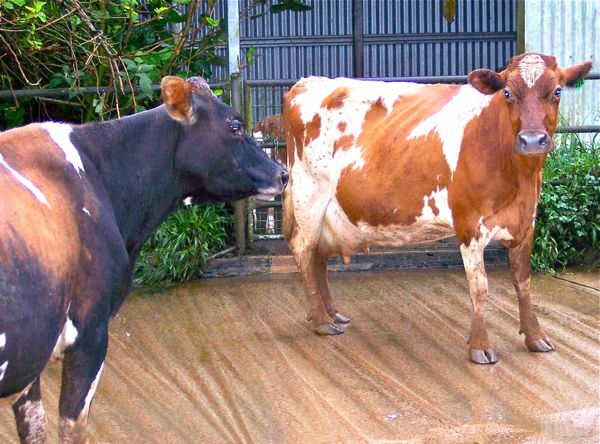 After some further years, despite increased applications of superphosphate, imported species again weakened. 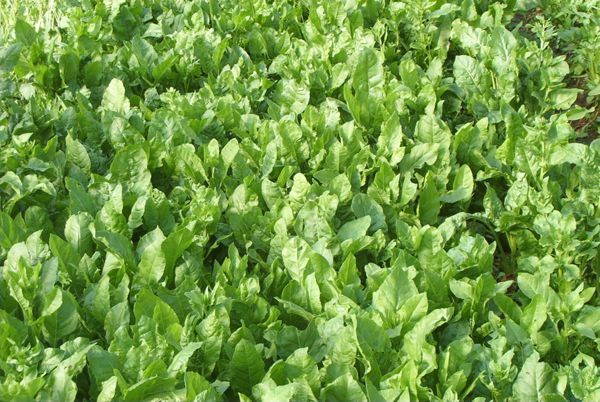 Applications of potash improved the situation temporarily, followed by a similar scenario with nitrogen”. Nature challenges farmers with new problems in one way or other almost continuously, and the farmer has to be an artist and decide how to cope with the situation. Worldwide, soils suffer increasing compaction. In the Volga region the top meter of soil volume has been measured to have reduced by 30%. The most important component of biologically active soil, air, has therewith reduced. Destructive cultivation methods and increasingly heavier machinery are a major reason, adding to earlier damaging effects on soil biology caused by circumnavigating the purpose of worms and microbes through supplying already water soluble fertilisers (see lectures: Biodynamics Agriculture of the Future, FIBL Lecture 2004 and IFOAM Conference Address September 2005) and the effect of chemicals. I recently moved from a large country property to a small garden on the edge of Melbourne. While I was sad to say goodbye to a garden that had been Biodynamic for 11 years and that produced most of our vegetables and 50% of our fruit in a good year, it was becoming too much for me to manage. Now, with a very small garden, I can easily maintain it, and have time to enjoy looking at the finer details. The house was owned by an Italian family, and the backyard was set up for vegetables and fruit, with four peach trees, an apricot, a lemon, two figs and four prickly pears. The owner said that in the last years the vegetables hadn’t grown very well for some reason. The soil is a poor, fine, sandy loam with some organic matter in the top 100mm, but pale grey and unstructured below. In 30 years of Biodynamic gardening and farming, I have worked with sandy soils on a farm scale, but have never had a sandy soil in a home garden – I have always had heavy clay loams. I am really looking forward to seeing what changes I can make to this soil. I have something else to discuss, which I have looked forward to for many years. 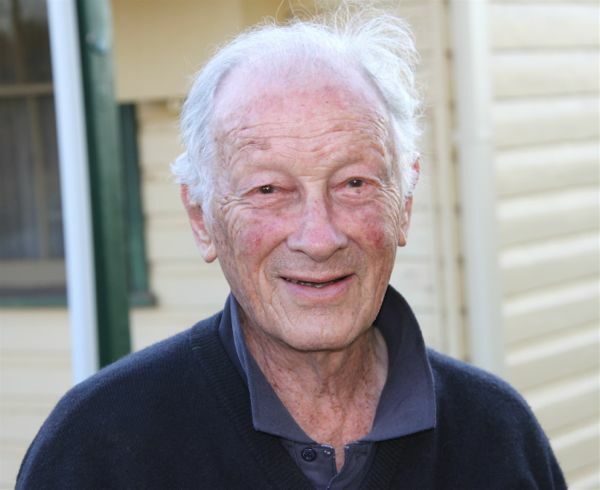 The Bio-dynamic Agricultural Association of Australia was founded in the mid 1950s, an association of farmers practising the “Australian Demeter-standard” method of Biodynamics as developed by Alex Podolinsky. Their primary aims were to rejuvenate soil and nature, to provide a sound future for the earth and to produce healthy food for consumers. 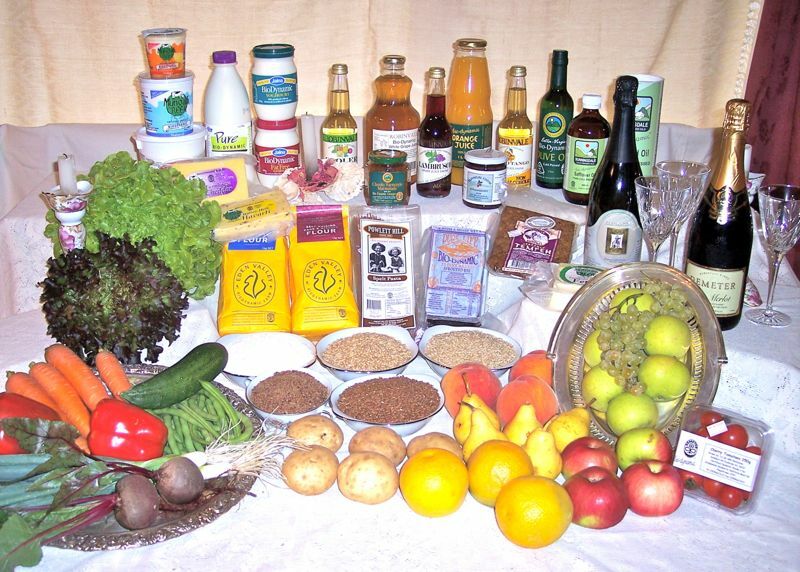 In 1967, the Bio-dynamic Research Institute registered the Demeter trademark in Australia, and developed the first organic/Biodynamic certification scheme here, to guarantee the integrity of Biodynamic produce to consumers. As the numbers of farmers and their acreage grew, Alex Podolinsky began raising consumer awareness and understanding through public lectures. 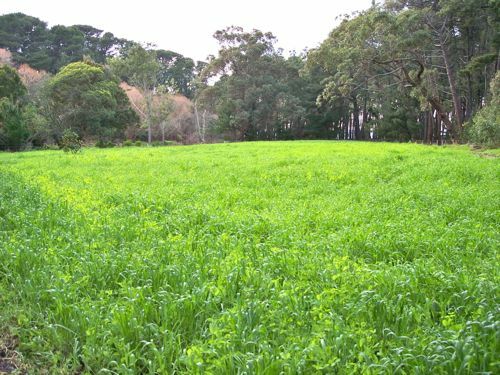 I have been asked to inform you of my experiences in Biological Farming, and since receiving literature from the Grassland Society of Victoria and seeing the theme is "Looking Forward" I am sure that what I am going to talk about will adequately cover this. 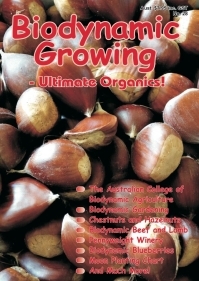 I started with the Bio-Dynamic Agricultural Association of Australia 26 years ago (1966), when I was aware that the soil on my farm was not performing. I had taken over an old sheep property that had been heavily grazed under irrigation and conventional farming conditions.